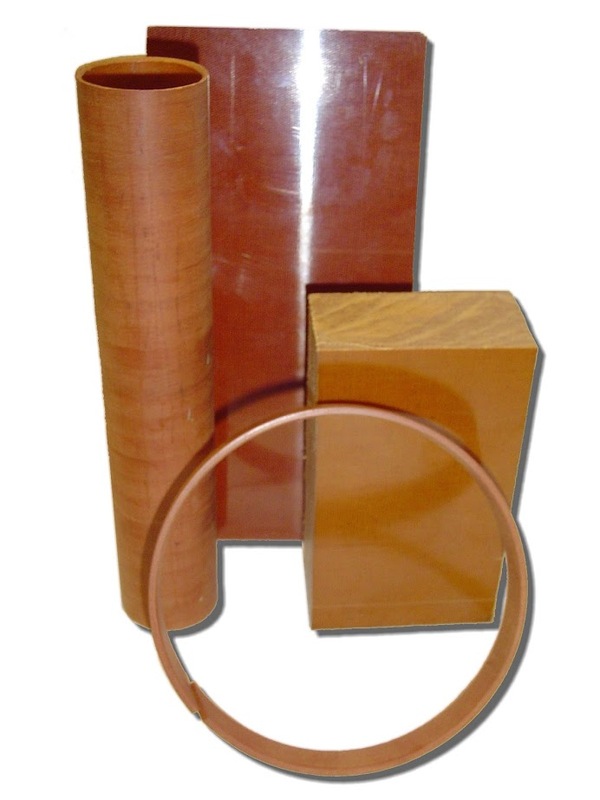 Phenolic laminates (properly termed “industrial laminates”) are one of the largest groups of plastics, a large family that consists of five primary resin binders (the actual ‘plastic’) plus a substrate (glass, cotton, or paper material) to form a composite “sandwich” that is tough with strong mechanical properties. As such, you really need to know what industrial laminate you actually need for your project. Step one is not making assumptions: if you’re unclear, ask a knowledgeable plastics representative who will work with you by asking pertinent questions that will help select the best laminate for you. In most cases where mechanical properties are desired, simple C/CE grade laminate will suffice. This is a brown colored material that is commonly stocked by distributors and uses a cotton substrate. These laminates are made from true phenolic resin. For electrical applications, FR-4 is used. FR-4 is also commonly stocked but comes at a higher price point than the C grade laminates. These two laminates will makes up perhaps 95% of the applications for the DIY community. Melamine-based laminates are often inexpensive and brought in from Asia, these are used as cupboards or table tops for residential construction. Silicon and polyester laminates are used much less often in DIY applications. The main property you can expect from industrial laminates is excellent mechanical strength and rigidity. 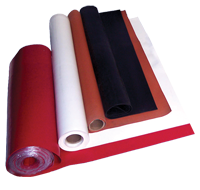 Many thermoplastics are pliable to some degree but laminates are very hard. This makes them serve well as spacers, load pads, and bearers of static load. They do have a high coefficient of friction and are not good at dynamic wear. For members of the public PTFE (polytetraflouroethylene) and UHMW (ultra-high molecular weight polyethylene) seem to be very similar materials. They’re both white, soft, food-safe, and widely available from plastic companies. But are they that different? Oh yes they are! The first thing you would notice is the price. PTFE is literally in another category of plastics called the “high performance” plastics. This means the cost is going to be much higher than UHMW. So when do you need PTFE? It would be an application where slickness is important above all other factors. 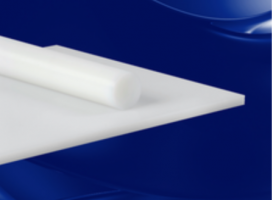 UHMW, while less expensive, will outwear, outbear, and outperform PTFE in tough mechanical applications like homemade bushings, cutting board, etc. PTFE is very soft, so soft in fact it suffers from something called “cold flow”. This means that PTFE slowly creeps like a semi-solid liquid almost just sitting at rest in room temperature doing nothing. What PTFE does have in addition to outstanding slickness (low coefficient of friction) is that it takes very high temperatures up to 500 degrees Fahrenheit. UHMW does poorly in high temperatures and cannot handle more than 180 degrees Fahrenheit. To be honest, in most DIY applications that call for a white plastic with balanced properties UHMW is going to be your go to. It’s too available, too cheap, and too balanced to go with PTFE. But in certain situations where very low friction is required (telescope mounts for example) or high heat will be encountered – PTFE may be your only choice. For more assistance with your application please contact Redwood Plastics and Rubber.